Remember all the blame directed at George Bush when gas prices rose? Remember how the Democrats literally began federal investigations over the price increases in what amounted to a political hit job? Well, gasoline prices have quietly increased 55%, a dollar a gallon, under Obama’s watch, and suddenly the same Democrats who swore that high crimes and misdemeanors had been committed under Bush are now completely silent. Gas prices have risen $1 since just after President Obama took office in January 2009 and are now closing in on the $3 mark, prompting an evaluation of the administration’s energy record and calls for the White House to open more U.S. land for oil exploration. “From all indications, we’re going to see $3 gas again this summer,” he said. The Obama administration also blames the market for the high prices and argues that its record for expanding energy development has been solid over the past year. “The prices are set by the world market,” said Kendra Barkoff, a spokeswoman for the Interior Department, which manages federal lands that would be leased for oil exploration. But now in the age of Obama, it’s going up and up and up again. We have had a 55% increase in the price of our gasoline during a terrible recession. Obama’s energy policies have hurt this nation badly at an incredibly vulnerable period, without so much as a peep from most of the media. But it’s like, “Sorry Sucker.” When you vote like a fool, you receive a fool’s fate. Anyway, maybe you thought, “Well, I’m not in a coal producing state,” or “I’m not in a coal-fired electric grid,” so you thought Obama’s shockingly bad energy policies didn’t matter. But you’re still going to have to put gas in your car, and Obama’s going to see to it that it costs you a pretty penny to do it. In fact, gas will have to rise to the European level prices of at least $7/gallon in order for Obama’s policies to impact CO2 levels as per his energy policy. So you can bet that fuel prices will continue to rise, and rise, and rise. – in their campaign to prevent domestic energy production – until an overwhelming majority in American opinion made them change their tune. And then they pledged that they would allow the offshore drilling ban to expire. Only they didn’t, because Democrats are liars without shame. Obama signed a brand new moratorium banning domestic drilling. There will be no domestic energy production under his watch – unless you count the pathetic little toys he says he’ll build that won’t even put so much as a scratch our energy requirements. Oh, Obama was perfectly willing to lie to us about domestic oil the same way he lied to Jay Rockefeller about domestic coal. Lies come incredibly easy for Obama – especially since the lamestream propaganda won’t expose him – which leaves him free to tell a whopping load of them. We have TRILLIONS of barrels of recoverable oil. Democrats keep saying that there’s no point drilling for our own oil because it would take ten years for the oil to get into system and bring prices down. First of all that isn’t true; energy companies say they could be up and running in only 3-4 years. But even if we assume their ten-year figure, they’ve been saying it for decades – and if we’d drilled ten years’ ago, we’d have that oil in our system NOW, wouldn’t we? Obama’s policy is based upon undermining oil, coal, and natural gas in order to foster the development of solar, wind, and other energy methods that the moonbeam crowd favor. 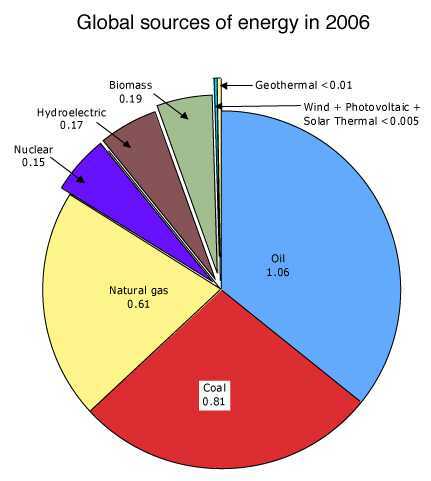 Here’s the problem: we can’t even BEGIN to address our energy needs with these “environmental” sources. 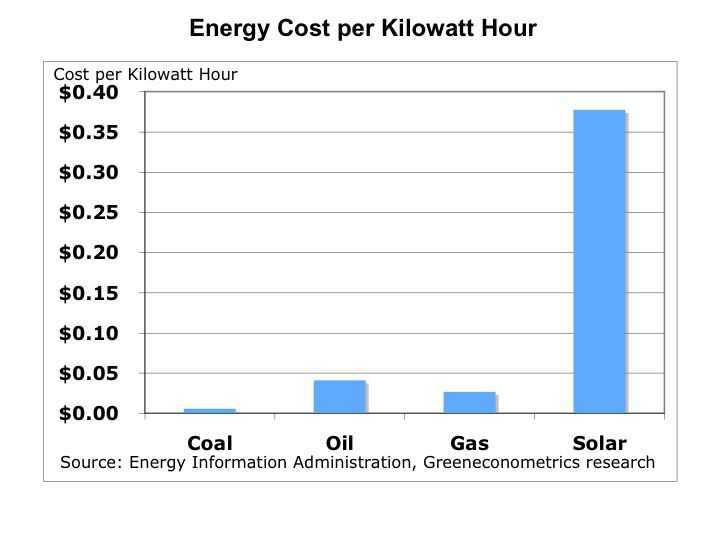 You get so much more energy at so much lower of a cost from oil, coal, and natural gas versus solar or wind that it isn’t even funny. We need to harness our domestic energy. We need oil, coal, and natural gas. We’re not going to get them under Obama, or under any form of Democrat rule. You can count on seeing a shocking trend of higher and higher gasoline prices, to go with a “necessary skyrocketing” of our energy prices, under Barack Obama. At least until we vote Democrats out of office.